Haus auf drei Etagen und eine Terrasse. Das Haus und der Ort sind wunderschön. Die Besitzer sind sehr nette Personen. Wir fühlten uns wie in unserem eigenen Haus. Es hat an nichts gefehlt. Wir würden dieses Haus wieder buchen. Vielen Dank für alles. La vivienda y el lugar estan de maravilla. Los Dueños son personas muy amables. Nos sentimos como en nuestro propio hogar. No nos faltó nada. Volvería a alquilar esta vivienda nuevamente. Muchas gracias por todo. Great spot for a quiet family stay! We had a wonderful time during our stay. The hosts were responsive and friendly. The village was charming and welcoming. I would highly recommend day trips to Alcala de Henares and Toledo during a stay here. The house is perfect for families with a large fenced in patio, and BBQ. For some local wine I suggest visiting the vinocola in Aranda Del Rey. Many thanks to Marta for hosting us. Thank you John and family for your words. It has been a pleasure to host you in our house. I hope I can see you again. I hope you had fun at our village parties. We have enjoyed a lovely week in this very charming house. The house is spacious and well-equipped for a large family (we were 6 people, but could easily have been more). It is an old and charming house, which has recently been renovated with respect for the style, and it was nice and clean when we arrived. The courtyard in front of the house is a perfect spot for enjoying the afternoon sun. The village is very peaceful and has a lovely view from the hillside. You can take some good walks in the area - there are marked hiking tracks of different lengths. There is a small playground in the village as well as a soccer court (bring your own ball). It is situated well for trips to Madrid - it takes around 45 minutes by car. 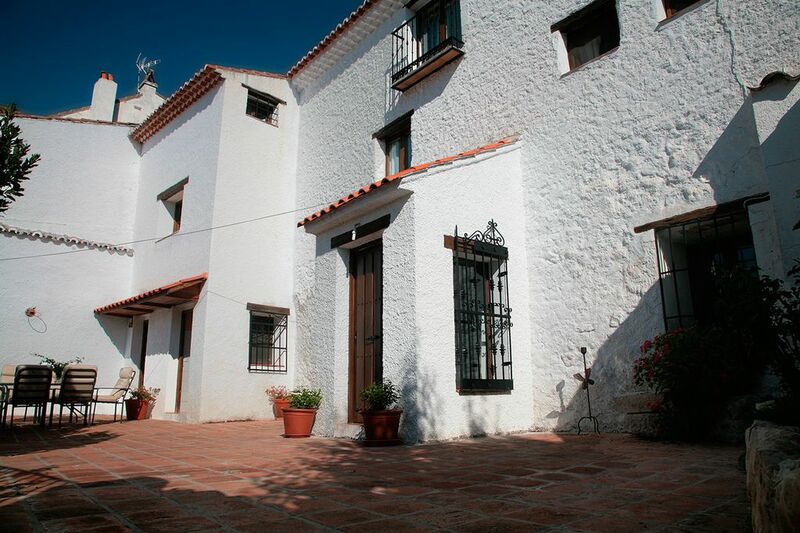 We can highly recommend the house if you want to combine a peaceful vacation with visits to Madrid. Thank you for your nice comments. We are delighted . It's been a perfect tenants. the house was perfect. Thanks for taking care of our house. We will be happy to receive you again. Hemos estado en la casa de Enmedio en Olmeda de las Fuentes esta Semana Santa y nos ha gustado muchísimo. El salón es amplio, las habitaciones perfectas para familias con niños y el patio muy grande con barbacoa para pasar largas tardes en él. Los dueños Marta y Andrés han estado siempre disponibles para cualquier necesidad y muy atentos a nuestros requerimientos. Recomendamos sin duda esta casa y sin duda repetiremos en alguna ocasión. Gracias por la confianza depositada . Estaremos encantados de volver a recibirles en nuestra casa , ha sido un placer saber que han podido disfrutar de nuestra casa.